Do Some People Really Believe a Dead Man Came Back to Life? To believe that a dead man came back to life is a lot to swallow. No wonder there have been many theories as to what actually happened on the first “Easter” morning, and what kicked off the Christian movement. Join us as we consider how different traditions have historically understood the story of the resurrection of Jesus of Nazareth. There will be a 50 minute lecture followed by open Q&A/discussion. All are welcome. Movies are the stories of the 21st century. Every film bears the imprint of the director, screenwriter, and studio. Helping people understand what they are watching—actively engaging movies on the screen—is a positive educational practice. Join Dr. Mark Eckel as he tells stories about his own movie-watching experiences and explains why he thinks interpreting movies is so important. August 29th, 10:30am to 12pm (noon); Lawrence Public Library; lecture/discussion format. All are welcome! At the end of the 19th century Friedrich Nietzsche proclaimed that “God is dead.” Throughout the 20th century Western thinkers in every discipline—from political theory to the fine arts—have taken up this “death of God” motif. What did Nietzsche mean by this, and how has he been understood over the subsequent 100+ years? The time seems ripe to reevaluate Nietzsche’s famous pronouncement in the light of more than a century’s worth of retrospect. Join us on January 18th at 10:30 a.m. at the Lawrence Public Library for a lecture and open discussion/Q&A as we consider what it means that “God is dead.” All are welcome! 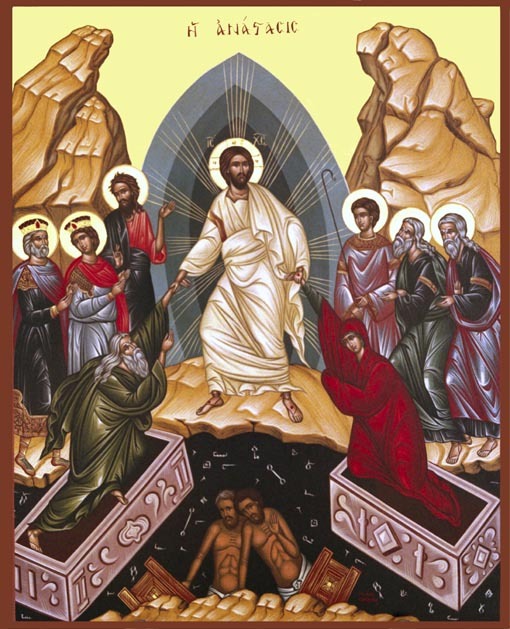 How have different traditions understood the story of the resurrection of Jesus of Nazareth? Christians have been celebrating Good Friday and Easter for nearly 2,000 years. But why? That Jesus of Nazareth was executed is a given, but what does the Easter holiday celebrate? Was Jesus really raised from the dead? Was that even the message first Christians sought to spread? Or did they know, even then, that this was a metaphorical tale? How has the story been understood since those first days of the Christian movement? Join us as we consider how different traditions have historically understood the story of the resurrection of Jesus of Nazareth. All are welcome! Can we find truth in a pluralistic age? Twenty-first century American culture is comprised of an innumerable collection of subcultures, all set side by side right next to each other. In a given day we all rub shoulders with any number of these subcultures—each one with a different set of values, ethics, goals, and competing claims on what is true. But who says what is true? Is there any way to tell who has the truth? Does anyone have the truth? Does truth exist? Is truth accessible to us? Join us as we consider “What is truth” in a pluralistic age. All are welcome! Did Jesus Really Say/Do That? Did the gospel writers have access to eyewitness testimony? Did Jesus’ biographers—Matthew, Mark, Luke and John—record actual historical events? Was that even their goal? Were they capable historians? Or were they motivated more by their own historical circumstances decades after Jesus’ life and work? How can we know? Theories abound about how much of “the historical Jesus” is available to us today. Join us as Dr. Williams, internationally renowned linguist and scholar, explores whether the gospel writers had access to eyewitness testimony and the difference that makes for reading these historically important documents. How Did Humans Emerge From The Mud? Did we evolve, or were we created? Whether we are just another animal or created in the image of God has important personal and societal implications. Do we have to choose between science and religion, or is there a way to reconcile the two? This issue tends to spark heated debate, but our conversation will try to generate light rather than heat. Haven't modernity and the sciences disproved just about every Christian doctrine? Why, then, does the religion persist? Does it attract the dimwitted and the intellectually lazy? Or does it make people so, breeding ignorance as it spreads? Do Some People Really Believe That A Dead Man Came Back To Life? Did a Virgin Really Have a Baby? Copyright © 2010-2016 Fox Valley Theological Society. All rights reserved. Designed by Kevin Gustavson. Powered by Jekyll and Github Pages.